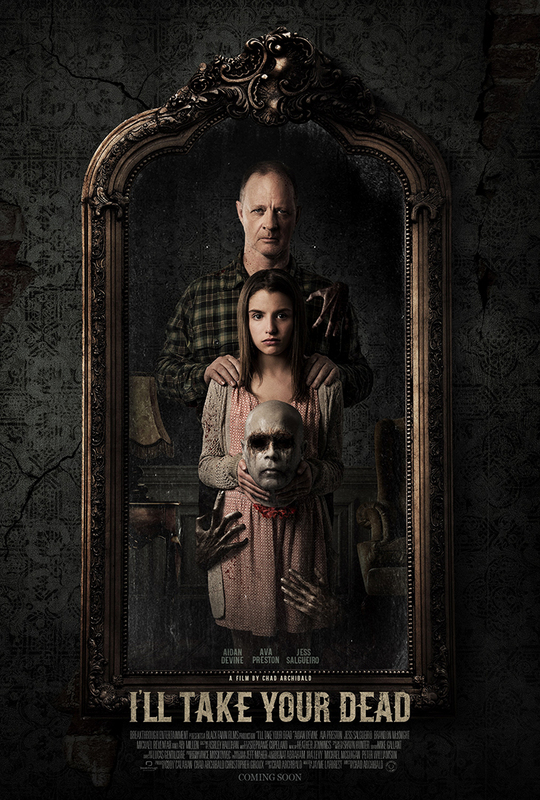 Breakthrough Entertainment and Black Fawn Films have released the first trailer for the upcoming horror-thriller I’LL TAKE YOUR DEAD. Directed by Chad Archibald and written by Jayme LaForest (The Heretics, Bite), I’LL TAKE YOUR DEAD is an unsettling tale of terror that combines an unnerving crime thriller with an original ghost story. Filmed on location in Orillia and Hamilton, Ontario, the film explores the horrors of gang violence and a family that’s being haunted by the death that surrounds it. I’LL TAKE YOUR DEAD is a bold film that grabs a hold of its audience and doesn’t let go. I’LL TAKE YOUR DEAD is set to have its world premiere at the Calgary International Film Festival on Thursday, September 27th with director Chad Archibald, producer Christopher Giroux and lead actor Aidan Devine in attendance. The film is also set to screen at Hard:Line Film Festival in Germany, GrimmFest in the United Kingdom and Terror Molins in Spain.